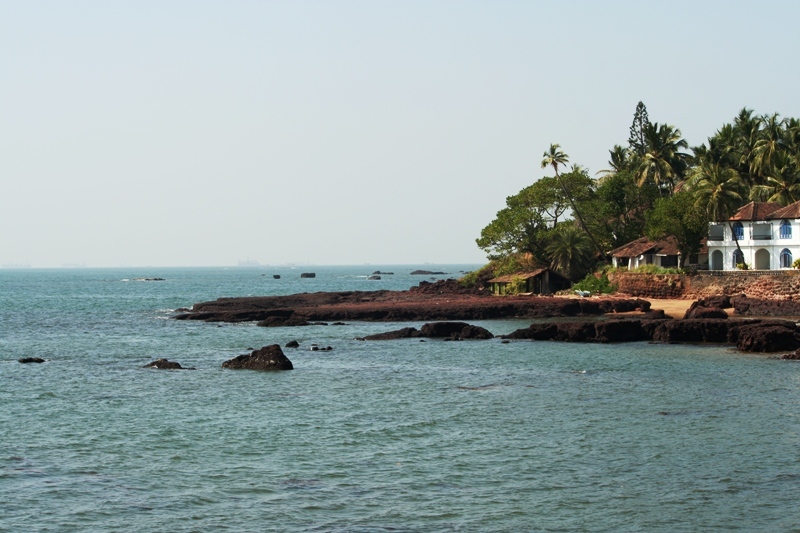 This tiny state, spread across 3,702 SQ Km consists of only two districts, North and South Goa. 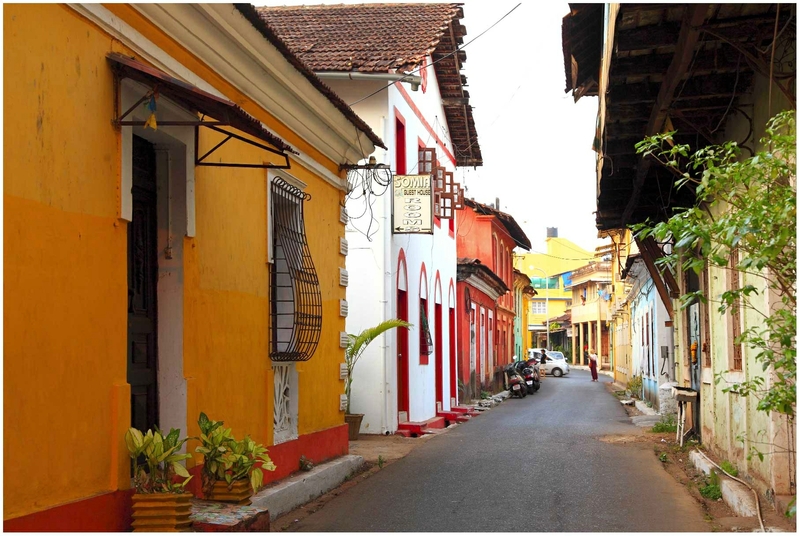 The distinct culture of Goa is a legacy of its colonial past. Goa became a part of Indian Union in 1961. The Portuguese rule is still visible in people’s language, culture, dance, cuisine, and religion.Over years, Goa has emerged as the top tourist destination for beach lovers. It is famous for its idyllic beaches, coconut plantations, rich green lands, magnificent cathedrals, and Hindu temples spread across the state. 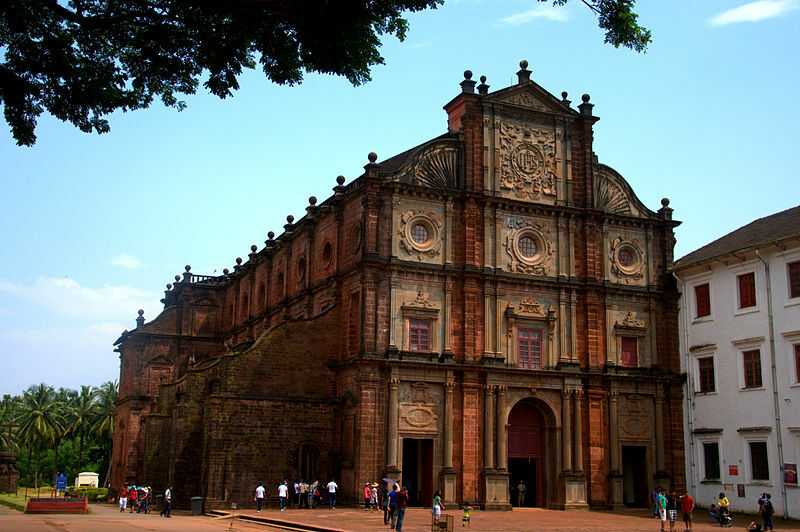 Here are ten of various tourist destinations across Goa. This waterfall is amongst the India’s tallest waterfall with a height of 310m. This transfers to a sea of milk and such is its fall. 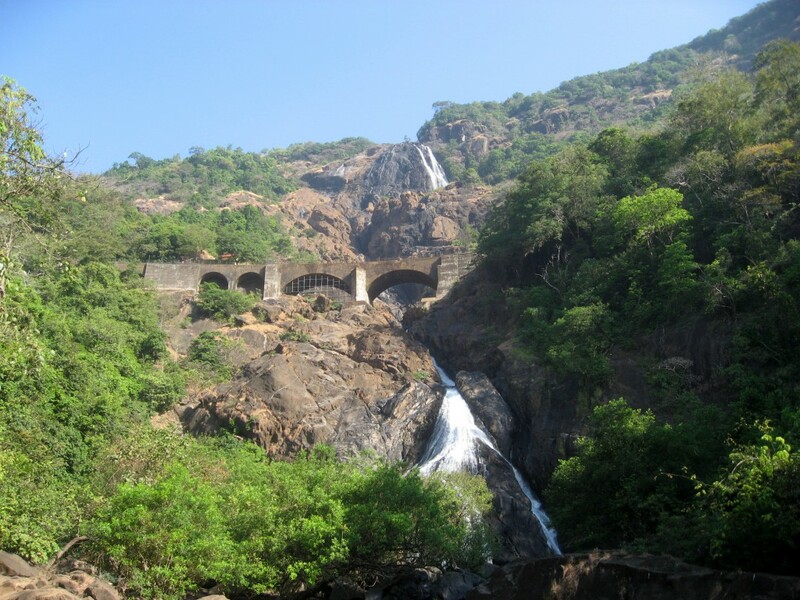 This four-tiered waterfall is located at the border of Karnataka and is only 50 km from Panaji. 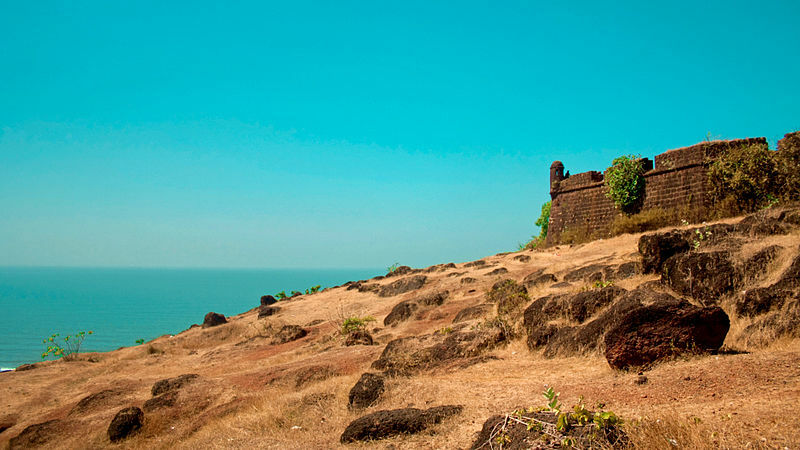 Chapora Fort is located in Bardez, Goa. This fort is located beside Chapora river. Before Portugal arrival in 1510, this was the site of another fort. The current fort was built in 1717, replacing the previous fortification. The old Catholic Church is Famous for its architectural beauty. This church is the first in South Asia to be granted the status of Minor Basilica in 1946 by Pope PiusⅫ. Panjim, as it was called during the days of 1759. In 1843, the town became the official capital of Portuguese in India. This town has mix culture in buildings. The old buildings like Secretariat, Church of Our Lady of Immaculate Conception, Menezes Braganza Institute, and State Museum have been rebuilt over time as the rulers changed. Among various beaches in Goa, the Baga Beach is famous for water sports. 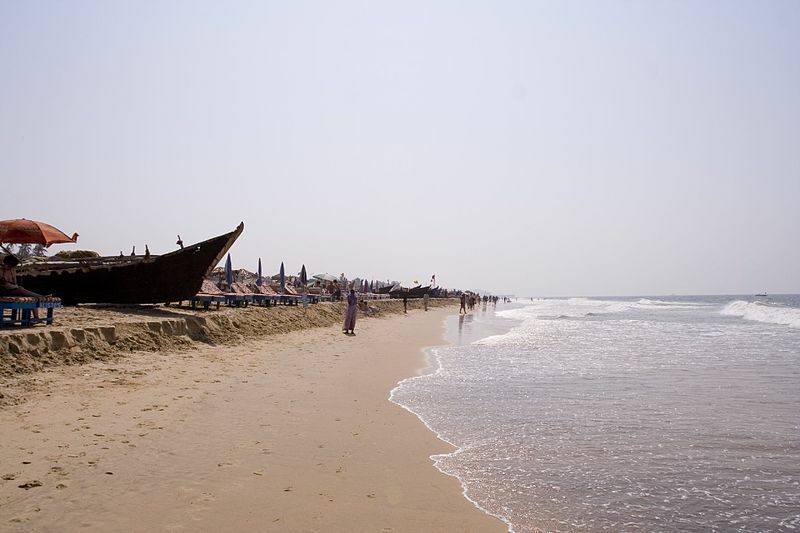 This beach is named after the Baga Creek that empties into Arabian Sea on the northern part of the beach. 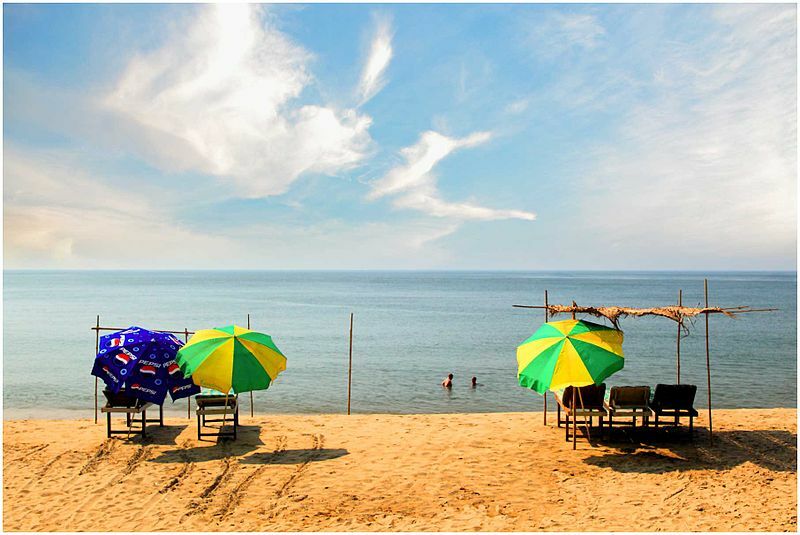 This beach lines up to the hottest beach in Goa, Calangute Beach. While walking on the beach shore, one can enjoy the various souvenir shops to the best party hubs around this beach. 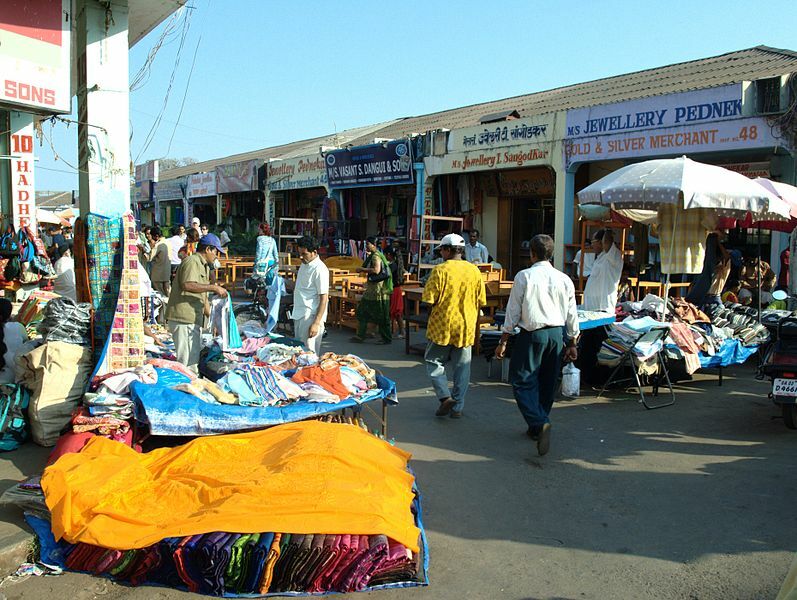 Being the largest town in northern Goa, Mapusa’s main attraction is the colourful and bright Friday Market. With the mesmerizing aroma of fried fish, spices, chilies, vinegar and local toddy and the famous Goan Sausages. The streets are packed with Hawkers and customers. Hawkers sell cheap T-shirts and summer dresses. The lanes leading off the main market are stalls selling handicraft and souvenirs from all over the country. The town of Ponda is one of the busiest place in Goa for commercial activities. The main attraction of this town is a Mosque which was built by Ibrahim Adil Shah. This town alone has many Hindu temples that were built around 17th and 18th. The Goan temples have a combine glimpse of Hindu, European and Muslim architecture amazing its visitors. The main attractions in this town include Shantadurga Temple built by Shivaji, Shri Ramnath Temple worshiped by devotees of Shiva and Vishnu, Shri Nagesh Temple for the worship of Nagesh, Shri Laxmi Narasimha Temple famous for the man-lion incarnation of Vishnu, and Shri Mangesh Temple. This village was once known by the name Oddavell. Later on, after the death of Paula Amaral Antonio de Souto Maior, a historical figure in Portuguese India, this village was renamed, Dona Paula. National Institute of Oceanography has its headquarters in this village of Goa. Along with this Institute this village is also a home to Goa University. The entire stretch of sand right up to the adjacent Baga Beach is lined with Resorts, bars, trinket stalls and beach shacks such as Reggie’s Bar and Souza Lobo. The villages of Arpora Goa, Candolim, and Saligao do their bit in enhancing the serene natural ambience of this place. This beach was discovered by hippies in 60’s. 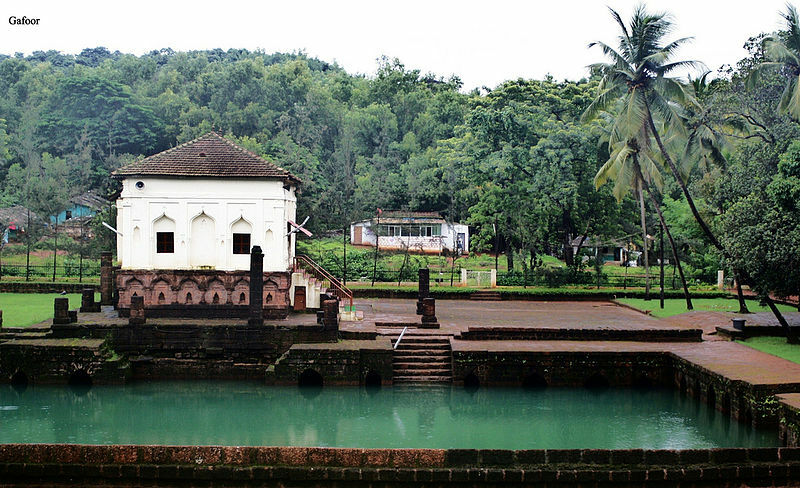 Secretly hidden in forests of Tambdi Surla, is the oldest Hindu temple in Goa. 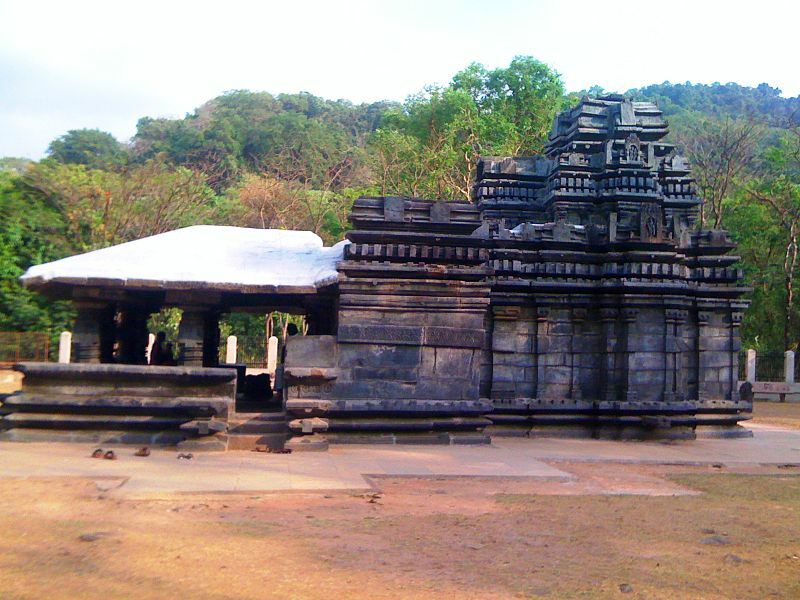 Dating back to the Kadamba Period, this temple survived probably because of its remote location. The temple is dedicated to the worship of lord Shiva. The symmetrical architecture is built by stone slabs fitted neatly into each other without the use of mortar. Rohit is a travel blogger who owns transindiatravels.com. His works have appeared in various travel blogging websites. He is an architect by profession and this influenced him to explore India for its ancient monuments and architecture. I have never been there! All the destinations look so beautiful and mesmerising, especially Chapora Fort. last week i visited in goa. it is very beautiful place.there are many places but i was in hurry but i visit again definitely. Nice blog !! I liked this blog so much. This is very helpful information for travellers. I love travelling and want to explore the whole world. This travel blogs is very helpful for travel junkies. This blogs makes my trip more easier and memorable. Great article with good insights. It will help people who are planning to go to Goa. I have read your blog. it is very interesting and informative. nice posting to share .